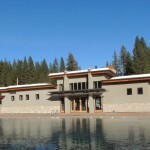 The Springs Resort in Idaho opened it’s doors on Valentine’s Day 2013. The Springs is formerly known to longtime Idaho residents as the old Warms Springs Resort. The new owners have taken care to rebuild the resort and grounds in an environmentally friendly manner.